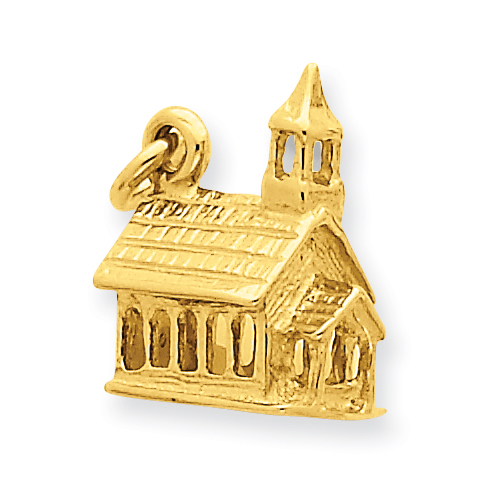 3-D church charm is made of polished 14k yellow gold. Item measures 5/16 inch wide by 5/8 inch tall without loop and bail. This charm is slightly smaller than a dime. Weight: 2.63 grams. It was perfect size and quality! Perfect style and design for my niece who is a minister and was ordained recently. Other jewelers only offered crosses or Bibles which were common and already on her charm bracelet. Perfect and unique gift!